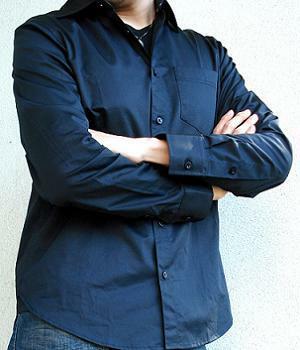 Design wise, this long sleeve dress shirt does not differ much from the rest. As with most other button-front dress shirts, there are box pleats that run through the center back of the shirt for more or less decorative purposes. The shirt features one chest open pocket and double button cuffs. One thing I really like about men's dress shirts is that they are wonderfully versatile. You can wear one for any occasions, formal or casual, and look good in it. 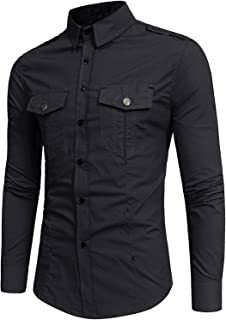 I got this black dress shirt from Armani Exchange and I am more than pleased with it for its SUPERB quality and beautiful shiny fabric. I chose the black one because it is less common than the usual white or blue dress shirts. On top of that, black is an easy color to work with and most colors go well with it. Dress shirts are good for all kinds of situations. 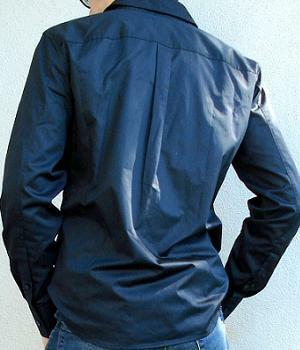 They are first and foremost designed for formal wear. With a pair of black pants and black leather shoes in conjunction with a light colored tie, you will impress. But if you wanna go casual, just leave your shirt untucked and your collar unbuttoned and put on a pair of jeans and you are pretty much good to go. Even with this laid back look, the dress shirt retains that polished and refined feel that few trendy outfits can hope to obtain. Needless to say, this is my shirt of choice for work when I don't feel like being too creative with my appearance. Cost wise, these things usually don't come cheap, especially the high end ones, and if their cleaning is mishandled, you will ruin a perfectly good shirt. So do take care of them, and in return, they will handle the rest when you go out. BUY this black shirt NOW b4 they run out!